'We Walker women were born screaming into this world, the beginning of a lifelong quest to find what would quiet us. But whatever drove us away was never stronger than the pull of what brought us back ...' When Vivien Walker left her home in the Mississippi Delta, she swore never to go back, as generations of the women in her family had. But in the spring, nine years to the day since she' d left, that' s exactly what happens-- Vivien returns, fleeing from a broken marriage and her lost dreams for children. What she hopes to find is solace with 'Bootsie,' her dear grandmother who raised her, a Walker woman with a knack for making everything all right. But instead she finds that her grandmother has died and that her estranged mother is drifting further away from her memories. Now Vivien is forced into the unexpected role of caretaker, challenging her personal quest to find the girl she herself once was. But for Vivien things change in ways she cannot imagine when a violent storm reveals the remains of a long-dead woman buried near the Walker home, not far from the cypress swamp that is soon to give up its ghosts. Vivien knows there is now only one way to rediscover herself-- by uncovering the secrets of her family and breaking the cycle of loss that has haunted her them for generations. Amazing story and very well read . It was very gripping making you smile and cry at the same time . I have been looking for a new author to read that would be comparable to Kate Morton. I love how an author can tell 2 or three stories all in the same book! This wa my first Karen White book and I loved it! Ilook forward to reading more of her books. 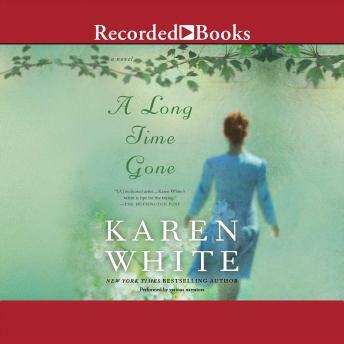 If you like Kate Morton and Susanne Kearsley you will like A Long Time Gone, by Karen White.